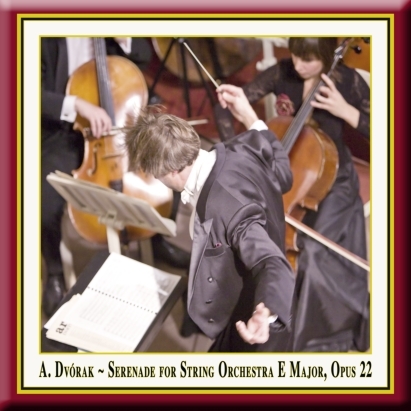 ntonín Dvořák's Serenade for Strings in E major, Op. 22, was composed in just two weeks in May 1875. It remains one of the composer's more popular orchestral works to this day. 1875 was a fruitful year for Dvořák, during which he wrote his Symphony No. 5, String Quintet No. 2, Piano Trio No. 1, the opera Vanda, and the Moravian Duets. These were happy times in his life. His marriage was young, and his first son had been born. For the first time in his life, he was being recognized as a composer and without fear of poverty. He received a generous stipend from a commission in Vienna, which allowed him to compose his Fifth Symphony and several chamber works as well as the Serenade. Dvořák is said to have written the Serenade in just 12 days, from 3-14 May. The piece was premiered in Prague on 10 December 1876 by Adolf Čech and the combined orchestras of the Czech and German theatres. It was published in 1877 in the composer's piano duet arrangement by Emanuel Starý in Prague. The score was printed two years later by Bote and Bock, Berlin. I. Moderato: The first movement starts off the Serenade in the key of E major. The second violins and cellos introduce the lyrical main theme over an eighth note pulse in the violas. The theme is traded back and forth, and the second violins reprise it under a soaring passage in the firsts. At measure 31, the movement modulates into G major and presents a new, dancelike theme, based on a dotted rhythm. At measure 54, the movement modulates back into E major and the primary theme returns. The movement ends on three E major chords. II. Menuetto: Allegro con moto: The second movement, a waltz, opens with a lilting dance melody in C-sharp minor. The first section repeats, and the second section begins in E major. A string of eighth notes in the violins transitions into the second theme, also in E major. The first theme returns, and Part A is closed with a cadential fortissimo C-sharp minor chord. Part B opens with a modulation into the enharmonic parallel major of D-flat major. This section's theme is developed, and then Part A returns. The movement ends on a C-sharp major chord. III. Scherzo: Vivace: The third movement is a lively, hyperactive Scherzo in F major. The theme is stated and subsequently developed in sections of different tempos and moods, including a foray into A major. The most monothematic movement yet, the scherzo ends with a coda combining material from the Scherzo and Trio. IV. Larghetto: The slow movement of the Serenade is tranquil and wistful. Its flowing melodies and tender phrases form a buffer between the vigorous third and fifth movements. The third theme of the Menuetto: Allegro con Moto is quoted repeatedly throughout. V. Finale: Allegro vivace: The fifth movement is a lively, offbeat finale, conveying the spirit of a Bohemian village dance. The principal theme is a descending figure based on thirds with accents on weak beats. More thematic material enters at bar 32 as the violins and cellos trade calls and responses over running eighths in the violas. A third theme based primarily on sixteenth-note upbeats appears at bar 87. A wistful recollection of the melody from the preceding Larghetto appears and then diminuendos away. The movement's recapitulation starts with the main theme, followed in turn by the second and third themes. A 20-bar eighth-note passage leads into a quotation of the first movement's theme, bringing the piece full circle. A presto coda follows, and the Serenade ends with three E major chords. Doge, Klaus. "Dvorak, Antonin." Grove Music Online. Oxford Music Online. 23 Nov. 2009. Hughes, Gervase. (1967) Dvořák: His Life & Music. Cassell & Company LTD. London. awel Przytocki is one of the most talented and exciting young Polish conductors. He studied at the Academy of Music in Kraków, where he graduated with honors from the Faculty of Conducting (1985) under Professor Jerzy Katlewicz. He perfected his skills at the Bartok International Seminar with Peter Eötvös and with the Master Conducting Course at the Oregon Bach Festival in Eugene with Helmuth Rilling. From 1983 to 1987, Przytocki collaborated with the Krakow Philharmonic and, since 1987, with the Grand Opera Theatre in Lodz. 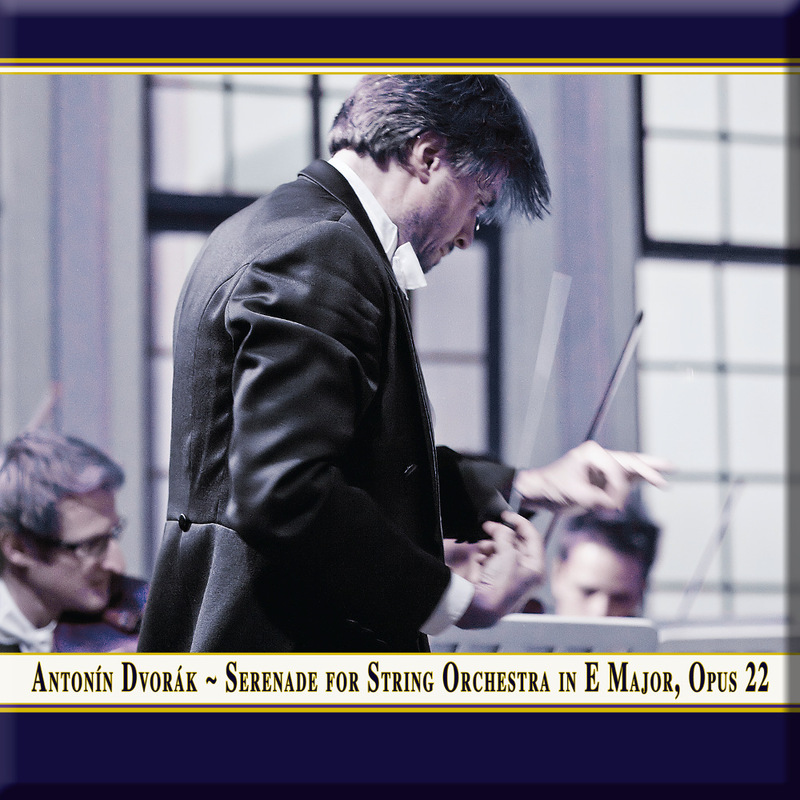 From 1988 to 1991, he worked as the Conductor and Music Director of the Baltic Philharmonic Orchestra in Gdansk. In May 1990, he made his debut with the National Philharmonic in Warsaw. Since 1995, he has worked with the Orchestra Sinfonia Varsovia and, from 1995 to 1997, was Music Director of the Artur Rubinstein Philharmonic Orchestra in Lódz. Przytocki is a regular guest conductor with orchestras throughout Poland as well as with the Budapest Concert Orchestra, Orchestra Sinfonica de Xalapa in Mexico, Real Filharmonia de Galicia in Spain, Capella Istropolitana in Bratislava, Philharmonisches Staatsorchester Halle, Neue Philharmonie Westfalen, Bilkent Symphony Orchestra Ankara, Everett Symphony Orchestra in the United States and the Janacek Philharmonic Orchestra Ostrava. His guest performances and concert tours have led him throughout Europe. Pawel Przytocki has participated in numerous international music festivals, including the Athens Festival, 1987, the Musikfest Stuttgart, 1988, the Flanders Festival, 1989, La Chaise-Dieu Festival, 1996, the Kissinger Sommer, 1998, the Bratislava Music Festival, 1999, the Prague Spring, 2001 and the Wratislavia Cantans, 2005. Since 2005, Przytocki has been the conductor for the National Opera in Warsaw. During the 2005/2006 and the 2006/2007 season at the National Opera, he conducted Aram Khachaturian's ballet, Spartacus (premiere -November 2005), Tchaikovsky's opera, "Oniegin", Verdi's, "La Traviata", Puccini's "La Boheme" and the ballet, "Oniegin" with choreography by John Cranko (premiere- April 2007). He has made archival recordings for Polish Radio and CDs for DUX, Aurophon and Point Classic. His recording of Rachmaninoff`s First Symphony, in 1991, has been recognized by the American "La Folia Music Review Magazine" as very special.The magazine labeled it one of the world`s five best recordings and compared it favorably to those of Carlos Kleiber and Svjatoslav Richter.